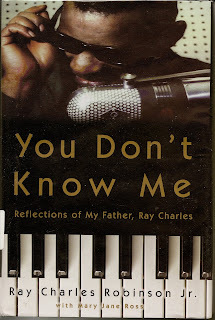 Rooftop Reviews: "You Don't Know Me" by Ray Charles Robinson, Jr. 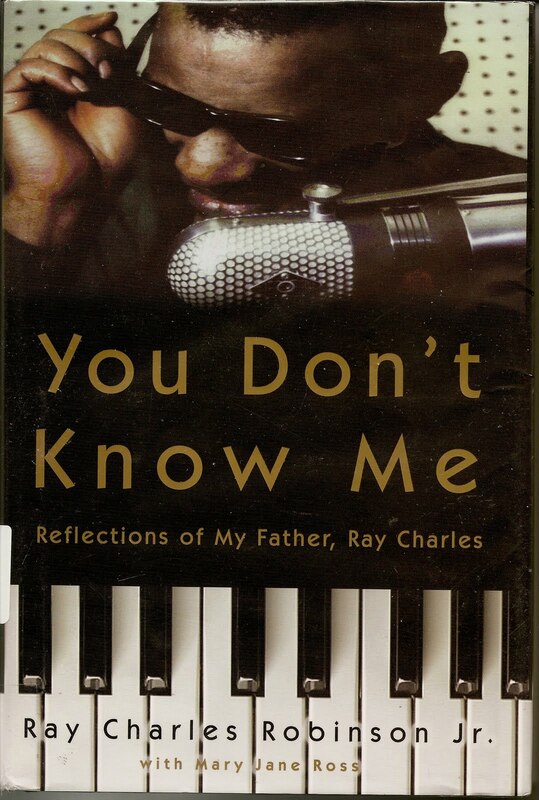 This is an extraordinary book written by Ray Charles oldest son, Ray Charles Robinson, Jr. Coupled with his fathers wonderfully candid autobiography "Ray", this book completes the Ray Charles story. What began as his fathers story in "Ray", becomes the story of a family, sometimes riding high on the wave of celebrity, and at other times a victim of it's more cruel face. The author re-iterates and re-examines the major points of his fathers life, from the death of his brother George, and the subsequent loss of his own sight. He also gives more insight into the early years on the road where his father formed the signature style that would come to define him for millions of fans worldwide. The darker side of his fathers life is also lain bare here. The 20 year heroin addiction, covered so honestly in "Ray", is looked at from the point of view of the family, who were often the real victims of the elder Mr. Charles heroin habit. The result of this introspection is probably the closest insight you will ever gain to the life of, and effects upon a family, that stem from drug addiction. In 1965, after using heroin for 2 decades, the elder Mr. Charles quits "cold turkey" after being charged with transporting heroin on his private plane coming back from Canada. Coming on the heels of his previous arrests for drug possession, he was facing 20 years in prison. He was in the hospital 4 months "getting clean." Also examined more closely here than in "Ray", is the effect that Mr. Charles' numerous affairs and the children born of these unions, had on the Charles family. If there is any real hero in this book, it is surely Mrs. Charles, who was able to deal with all this insanity while raising a family in as normal way as possible. The story of the authors mother, Della Beatrice Antwine, would be a great book all on it's own. Born in Richmond, Texas she was the lead tenor with Cecil Hawkins Gospel Group. When Ray Charles heard her voice singing lead on "Pray On, My Child", he was smitten. How he came to be with this woman is a story worthy of a mini-drama. It also serves to underline the unique singlemindedness with which Mr. Charles pursued all of his interests. The stories told by Mr. Charles in his book "Ray" are all given creedence here as his son recounts, and in a sense, validates, the episodes of his father driving cars, motorcycles and even his own planes. You might say he enjoyed "flying blind." A lifelong "mechanic" in his own right, you will delight in Mr. Robinson's tales of his father tinkering with everything from a bicycle, a tape recorder and even fixing the cowling on his own airplane after the mechanics said that it couldn't be done. Mr. Robinson recounts the effects all of this had upon the family, and his parents subsequent divorce, in a respectful and honest narrative. He talks freely of his own drug addiction and recovery, his relationships with his half brothers and sisters, and how he has come to terms with his tumultous legacy as the namesake of one of the world's greatest performers. This book is a gift, given to the reader, by the only person who could have written it. I've just finished listening to and reading this book. Your comments are right on the money! What a fantastic, eye opening book.